Pioneering Silicon Valley entrepreneur and investor Magdalena Ye&scedil;il came to the United States in 1976 with two suitcases and $43, blind to the challenges she would face as a woman and immigrant in Silicon Valley. Today, she is best known as the first investor and a founding board member of Salesforce, the now-multibillion dollar company that ushered in the era of cloud-based computing. 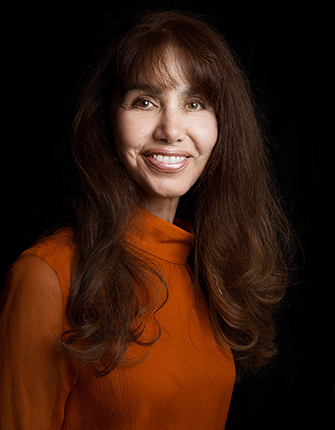 Magdalena Ye&scedil;il is a founder, entrepreneur, and venture capitalist of many of the world’s top technology companies, including Salesforce, where she was the first investor and founding board member. Yesil is a former general partner at U.S. Venture Partners, where she oversaw investments in more than thirty early-stage companies and served on the boards of many. A technology pioneer, Ye&scedil;il founded three of the first companies dedicated to commercializing Internet access, e-commerce infrastructure, and electronic payments. UUnet, CyberCash, and MarketPay earned her the Entrepreneur of the Year title by the Red Herring magazine. Ye&scedil;il is a founder of Broadway Angels, a group of female venture capitalists and angel investors. She is currently working on her fourth startup, DriveInformed, a technology company bringing trust and transparency to the auto finance industry. She serves on the board of directors of SoFi, Smartsheet, and Zuora. Magdalena is an immigrant to the United States from Turkey and is of Armenian heritage. An avid hiker and sailor, she lives in San Francisco, California.